1992, Starring Doug Miller, Wayne McNamara, Sarah Campbell, Dawn Kelly, Cliff Makinson and Red Fisher. Directed by Chris Poschun (Water Wolf Productions). Though Canada's genre movie output is undeniably dominated by horror films, that doesn't mean that all different strains of creepy cinema are equally represented. The majority of our homegrown horrors are weighted toward lumbering killers, psychological disturbances and bodily terror; Canadians have only occasionally dabbled in more traditional monster movies and animal attack films. Despite the telepathic snake monster of Spasms, the killer cats of The Uncanny and the spate of giant killer rat movies that appeared at the end of the 1980s, it's a strangely shallow subgenre, especially given Canada's classical image as a land of majestic but untamed nature. That's part of what makes Chris Poschun's 1992-shot creature feature Psycho Pike such a unique find. Completely lost for almost two decades, this recently rediscovered regional effort about a mutant killer fish on the loose in Northern Ontario's cottage country, taps into a rarely seen source of terror in Canadian film. That a film as obscure as Psycho Pike has resurfaced at all is cause for celebration. With no official distribution, a string of misplaced VHS tapes and, at one time, only a non-descript listing for a Cannes screening available online, it's a film that nevertheless haunted the minds of at least a handful of young Canadians who most likely discovered the film via an article in a 1992 issue of Cottage Life magazine. "Cottage Country's First Psycho-Drama" is a breezy puff piece that details production on the film, accompanied by a still of a man with his head caught in the mighty jaws of a pike puppet. Offering a glimpse of a film maybe made just down the street, about a danger possibly lurking in the waters that they were about to swim in, it appears that Psycho Pike seared itself in the brain of more than one pre-teen reader spending the summer up north. 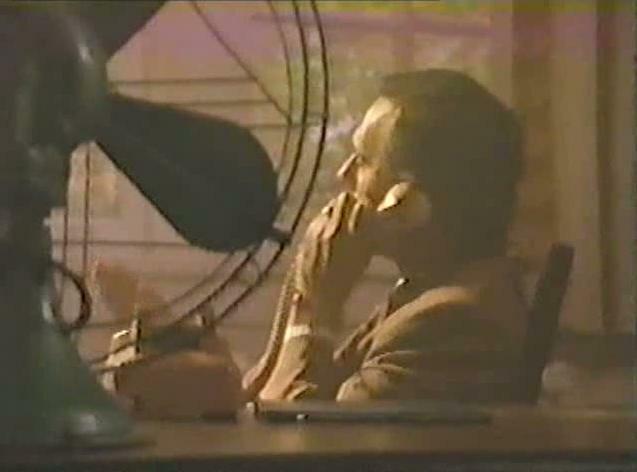 Almost 20 years later, enterprising fans set up a Facebook group dedicated to finding a copy of the obscure film, and they eventually succeeded, thanks to a likeminded collector. That few people have the chance to see the film until now is a shame, because Psycho Pike is a fun, if slackly-paced, monster movie that's certainly no worse than many better-budgeted bottomfeeders that patrolled the murkiest depths of the late '80s tax shelter era. In the film, vacationing couples Reg (Doug Miller) and Rhonda (Dawn Kelly), Tim (Wayne McNamara) and Dara (Sarah Campbell) leave Toronto and head up to Lake Shippagew for a sun-fillled summer weekend of relaxing, fishing and perhaps even a little skinny dipping. But before the friends can let loose and really crank up the soundtrack's insistent heavy metal balladry, several run-ins with eccentric local residents make it obvious that something's not quite right. One-eyed gas station attendant Willy T (Cliff Makinson) warns them about a legendary Northern Pike in Shippagew that's been known to kill men, while a gruff local cop stops by to ask if they've spotted a fisherman that went missing several days ago. Complicating matters is a growing pool of bad blood--though now with Dara Tim's not completely over his ex-girlfriend Rhonda, and is having trouble accepting that she's now with Reg. Tim confesses his feelings to Reg while they're out fishing one afternoon, but the simmering issue's largely forgotten when their catch of the day turns up already dead, and covered in strange lesions. Reg is especially concerned--he stands to inherit his uncle's pulp mill located downstream from Lake Shippagew, and wonders if chemical waste is altering the local ecosystem. But he should be more worried about what Willy T alerted him to earlier--a mutated pike has taken over the waterways, and is viciously attacking anyone that ventures too close, including other fishermen and a pair of Japanese investors looking to buy up the area and create an amusement park. Shot on Sky Lake in Wiarton, Ontario, Psycho Pike takes its time getting to the kills, but even then it's never a particularly scary film. Almost all the action takes place on bright, warm locations free of any sinister shadows and, despite frequent underwater POV shots of the pike looking for its next meal, the film struggles to build any tangible suspense. But that doesn't really matter--Psycho Pike isn't particularly interested in giving you bad dreams anyway. 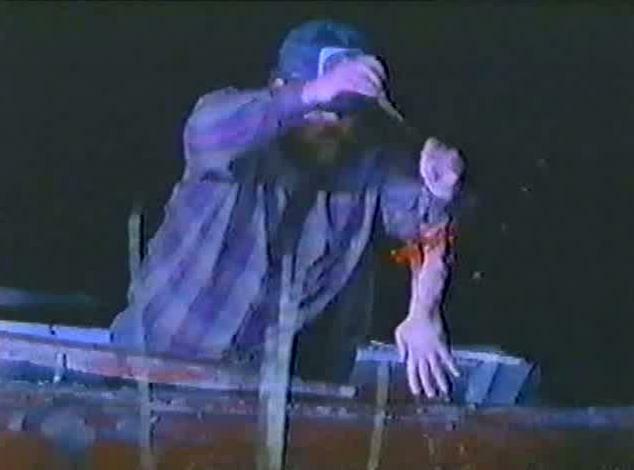 The few gruesome scenes--the pike ripping out one of the main character's throats is clearly the film's bloody set-piece--are offset by a playfully campy tone, such as when the pike terrorizes one victim by repeatedly jumping at them, obviously just being tossed through the air by unseen crewmembers. As with similar Canadian genre piss-takes like Pink Chiquitas, Revenge of the Radioactive Reporter and Big Meat Eater, Psycho Pike's filmmakers blur the line between satire and heartfelt homage, mining and subverting the clichés of a largely American tradition of genre film, from a comfortable distance, while still replicating the same low-rent atmosphere that makes it easier to forgive their own lacking production values. And while Psycho Pike surely suffers from a low budget, featuring only a handful of locations to stretch out its thin concept, a great amount of care went into the mentally disturbed pike and some of the film's other practical effects. It's not always used convincingly, but on a purely aesthetic level, the pike puppet looks great--both realistic and threatening enough to strike fear in the heart of fishermen. And while the film's not really gory enough to satisfy most horror fans, the attacks and occasional body part are delivered with a level of care that's better than you might expect from a regional horror film of this calibre. Psycho Pike may lean more toward comedy than horror, but it's got it where it counts. Replicating the summer ritual of so many Torontonians who drive up the 400 highway to the country for the weekend, Psycho Pike is also about as notable a Canadian a film as they come. Without an American flag or mailbox in sight, it's the rare Canadian film that's set in the same area it was shot--though Lake Shippegew itself is fictional, it's still an undisguised northern Ontario setting. With characters dropping names of nearby cities, Psycho Pike possesses a real sense of place that's uncommon in Canadian genre film. 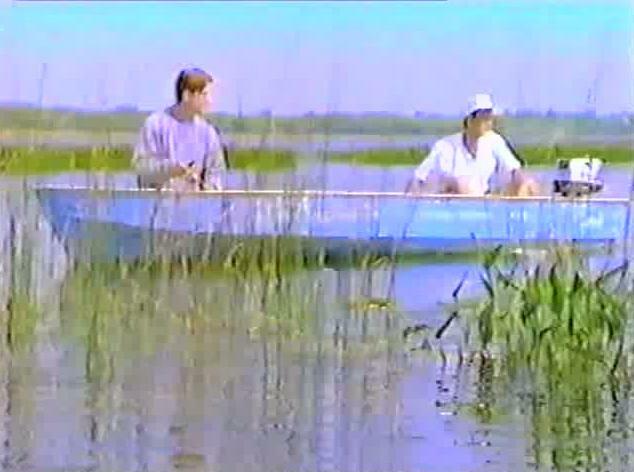 But perhaps most surprising is a final act cameo by legendary Canadian sportsman Red Fisher, whose long-running fishing and hunting show for CTV, The Red Fisher Show, had a major influence on modern pop perceptions of these sports that stretched beyond our borders. It's an appropriate inclusion, a nod to local fishing buffs that grew up watching his show. Quoted in Cottage Life, Poschun says it was his intention to create a "Canadian cottage cult classic"--and damned if he didn't almost just do it. 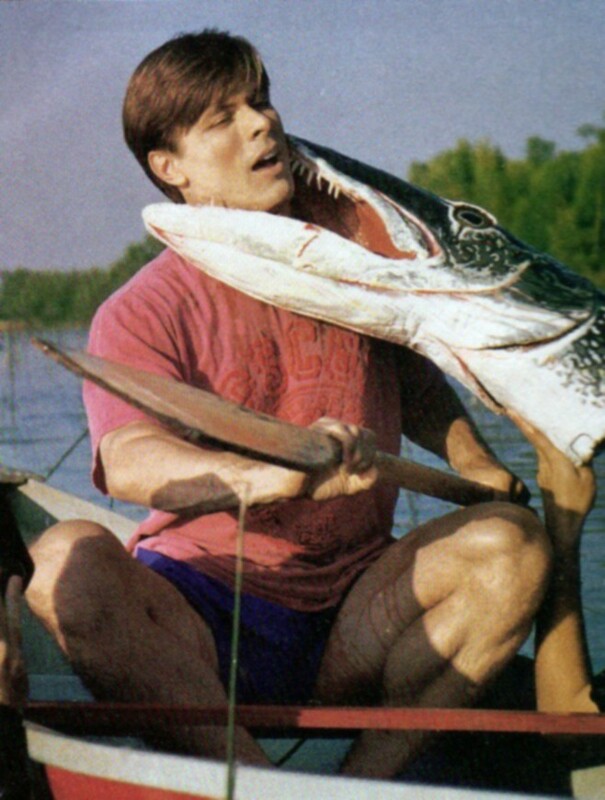 Even though Psycho Pike is only now beginning to connect with its intended audience, this unpretentious animal attack movie unfolds with a gentle pace and humour that's not unlike spending a lazy afternoon out on the dock with a pole in one hand and a beer in the other. But maybe more importantly, Psycho Pike also proves that the vast pool of Canadian horror film past is well-stocked--there will almost always be new discoveries waiting for patient and persistent viewers.